Don’t panic, you haven’t forgotten Fathers day haha! We’re still a couple of weeks away, but better to be organised right?! I swear men can be so hard to buy for, like where do you start? Luckily TJ Hughes have you covered! With the gifts for men section on their site, its so much easier to pick something nice for your Dad this Fathers day. I picked out a few goodies to share with you, to put together a Fathers day gift guide. These gifts would also be great for your other half, brother, uncle, grandpa or pretty much any man in your life! First up, this Converse T-Shirt*. Lets be honest, can you really go wrong with a tshirt? I don’t think so. Whoever you’re buying this for is bound to like it, especially as the summer months are rolling around. Its just a plain grey tee, with the circular converse logo on the front. Perfect for casual/weekend wear! Second up, these Maxell Spectrum Headphones*. Another very versatile gift, to suit any man in your life. Perfect for those Dad’s who love a bit of old school 80s disco (like mine) haha! I’ve very sneakily tried these out to see what the sound quality is like, and for only £10, its really bloody good. They also sit really comfortably on the head/ears, which is a big thumbs up from me. The final selection of gifts, are all from David Beckham’s range. Everybody loves a bit of Beckham right?! 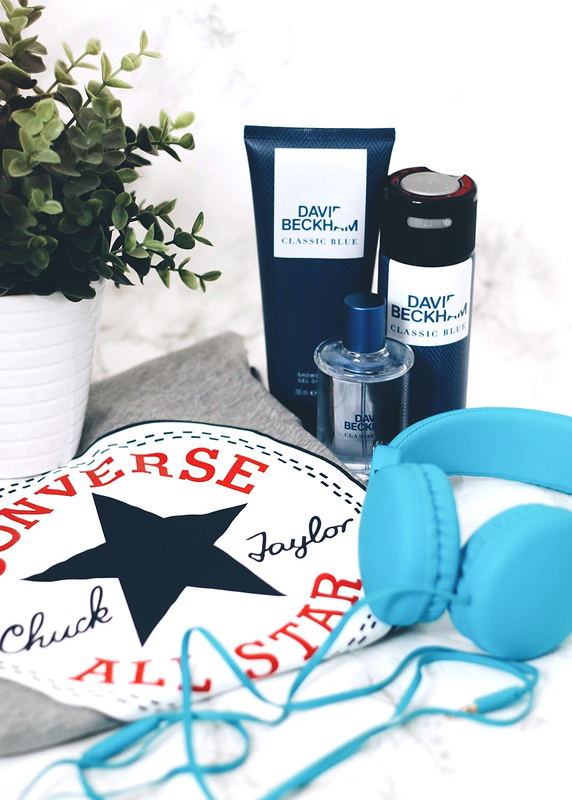 We have his Classic Blue Gift Set* which includes a shower gel and deodorant. Another failsafe gift to purchase for any man. 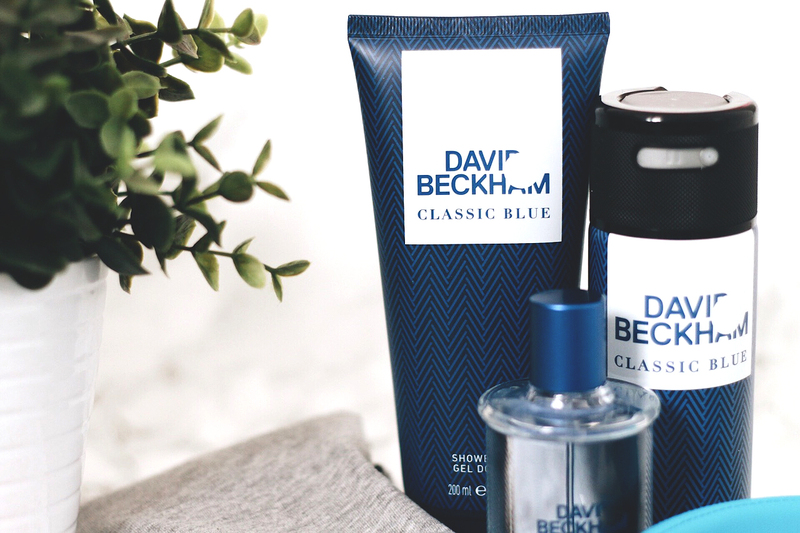 And finally, the David Beckham Classic Blue Eau De Toilette*. This is a scent you just can’t go wrong with. It has top notes of pineapple and violet leaves, with base notes of cashmeran, moss and patchouli. I’m telling you this as I’m rubbish at describing scents, but I can assure you this is quite a universal scent and I’m sure whichever man you’re buying it for, will love it. I hope this gave you so inspiration as to what to get your Dad this Fathers day – or if theres a man in your life thats in need of some pressies!